The past two days I have been home with my sick 14-month-old Macy (poor thing has had a fever...she's starting to finally feel better, thank goodness!) I've poked around a bit in the app store and online and have found a few new apps I thought I'd share. This app is actually not music-specific, but could be used to stream all of your music blog reading. I found out about this app when I was checking my blogger stats; it's so neat to see where my readers are and how they got to my blog. I noticed while checking out the stats that I had several views from Feedly, so I had to check out what Feedly was. From what I understand, Feedly is an app that you could install onto Chrome, install onto your Android phone/device, and install onto your Ipad/IOS device. You can populate your feed with whichever blogs you'd like, and then when you get a minute to sit down and want to browse your blogs, you can just open Feedly! What I love about this is that I've not been great about continually checking the music education blogs of others. When I've had the chance, I've gone to my own blog, and clicked on links in my "blogs I love" list. This app makes that process so much easier! 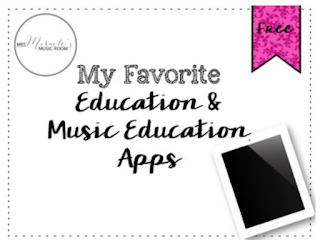 I also added a feed from NAfME and some other music education sites. It's also super easy to post something to Twitter if you find it useful. Definitely a time-saver! I actually found this app while reading my Feedly. It is currently in beta testing, so it is cheaper than it will eventually be as they work out the bugs. At $13.99, it still seems pretty expensive compared to most apps, but the possibilities are very exciting, and in my opinion, worth the money...even at a more expensive price! 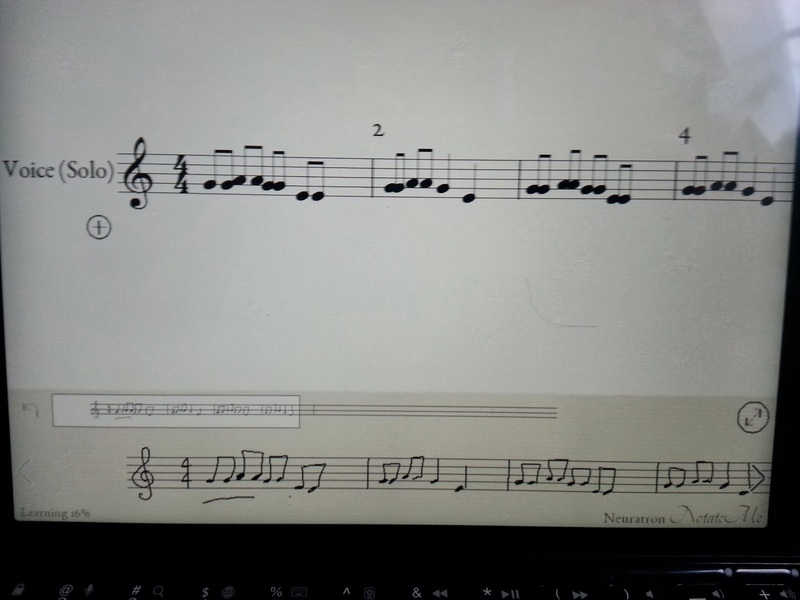 It also plays the notes as you notate, and can play the entire piece when you are done. From what I understand, they are continually adding features to the app (like the ability for it to notate what you sing, and the ability to save the notation as a PDF). 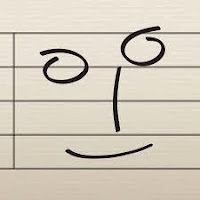 I can see this working very well in a music classroom, for students to be able to see the difference between hand-written notation and computer notation. 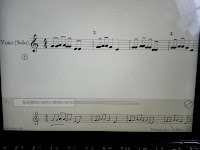 Computer notation can be daunting to do with students, as you are not only practicing where notes go on the staff, how to write rhythms, etc., but how to notate all of those with that particular program. 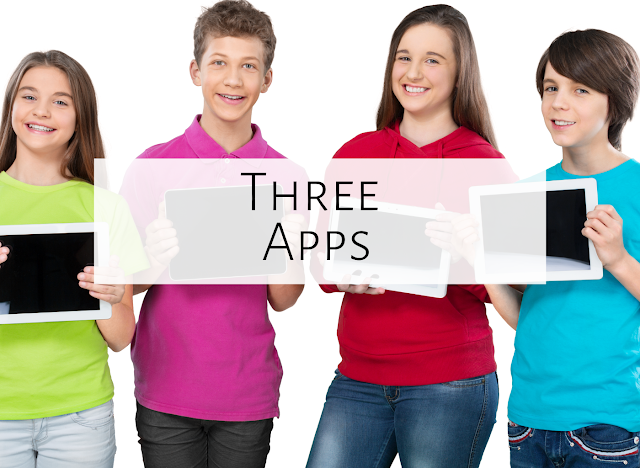 This app removes those challenges while still allowing students to see both types of notation. I only have one ipad, so I'm thinking perhaps I might be able to use this in centers, after students have worked on their handwritten compositions. I will post how it goes! 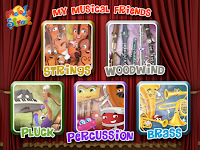 #3: Melody Street, "My Musical Friends"
This is a really cute (and free) app for introducing instrument families. When you click on each instrument family, you can then choose one of the instruments in that family. If you touch the cartoon instrument, it will transform into a real instrument, and will play a short snippet. "Fun fact" will tell the students a fun fact about that instrument. I found the "Did you know" button not as helpful, as it tells you something about the instrument character the app made up. The treble clef buttons on the bottom will play different pitches from that instrument. I can see it being a great way to introduce families, perhaps taking a few minutes in each lesson to learn about different families. Melody Street also has other free apps available in the Itunes store, like Melody Street and Mozart Interactive. Very fun! 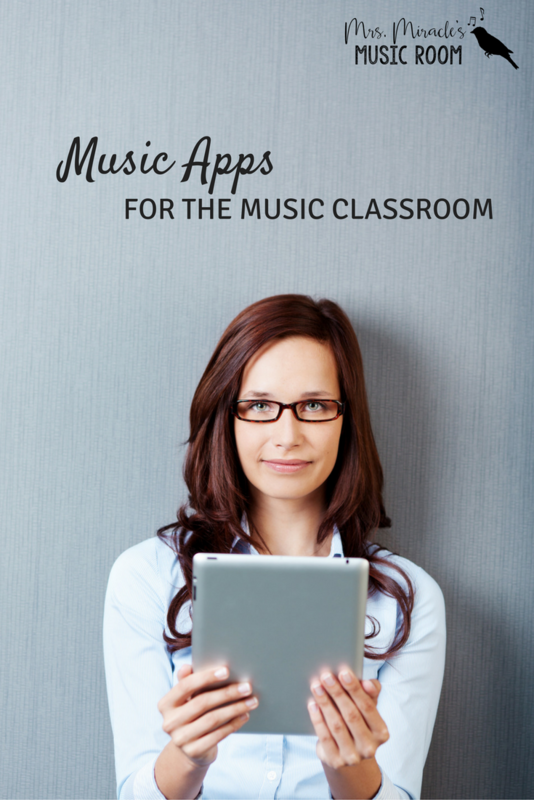 Looking for more apps for your music room? Check out this free list! Can't wait to check out Feedly too! Thanks for the tips! Just wanted to report back that. I'm sitting here drinking my morning coffee, having a quick bite before I head off to see my little preschoolers at church, and loving FEEDLY! Thanks for the tip on that! It's great! Took a little setting up, and I'm still adding things, but I love how it works. Yay! Glad you like it...I also enjoyed Feedly this morning while drinking my coffee. :) And thanks for the linky party...it was fun to join up! Thank you for all of your wonderful ideas. I have taught music for it seems, forever, but am always looking for new and creative ways to do it! This year I have a k/1 split so am coming up with completely new lessons for only those kiddos b/c I may have them again as first graders and don't want them to have the same experiences two years in a row. It's been a challenge. I'm new to your blog and to TPT this year, (and just received a promethean board) so I'm like a kid in a candy store. Again, thanks. I don't know where you find the time to do all you do. I was lucky enough to meet you in Fargo and have been following your blog ever since. Thank you for all your great ideas. I took advange of your sale!